Draft beer comes in three sizes: pint, 23oz and tower. 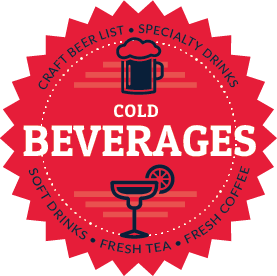 Each location varies in their draft beer selection based on breweries local preferences. Please see individual location pages for their specific lists.